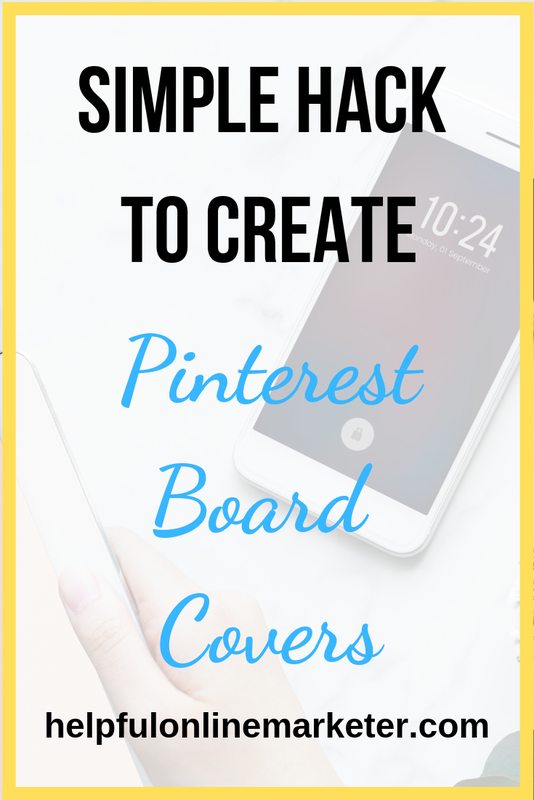 Creating Pinterest board covers aren't as hard as you might think. I didn't know how to do it either when I started blogging. I actually taught myself. I could not find a good tutorial. I found a tutorial that said to use custom dimensions in Canva. I used the dimensions suggested. The board cover I made didn't look right. The letters were off center and got cut off. I realized that I had to figure it out myself. I didn't want to pay someone to make them for me. I didn't want to sign up to an email list to get a tutorial. I figured out how to do it one day in Canva. Once I figured it out my board covers came out nice. It's really simple to do. 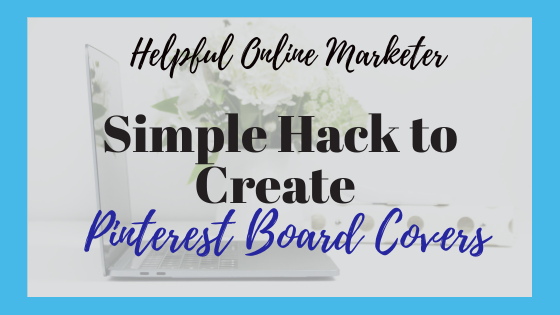 I am going to show you a simple hack to create Pinterest board covers. That way you can do it yourself. No hiring or sign-ups required. For the first step, you will need to use an image/graphics creation tool or app. I mean a tool like Canva, Crello, or Adobe Spark Post. For this first step, I used Canva because they have a lot of premade, pre-sized templates. I didn't have to create the size dimensions myself. Any app that you use to create posts for Instagram will work. must use Instagram post-size-dimensions. 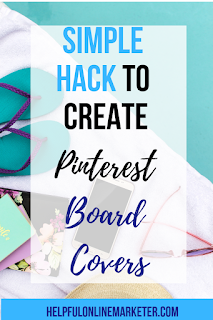 This is the secret to creating board covers. I discovered that Instagram post-size-dimensions work the best for Pinterest board covers. The reason being is that Pinterest cover sizes are a lot smaller than a normal pin. So if you use the same dimensions you would for a regular pin it won't work. Anything bigger than an Instagram post size will not work. I use Canva's Instagram post templates because they are pre-sized. I don't have to create the dimensions myself. Once you have selected Instagram post select the template that you like. Then start editing and designing the template according to your taste. Since this is a board cover make sure to put the name of your board on the graphic. If not it defeats the purpose of the board cover. If you created a makeup tips board then that's the name you will put on the board cover. 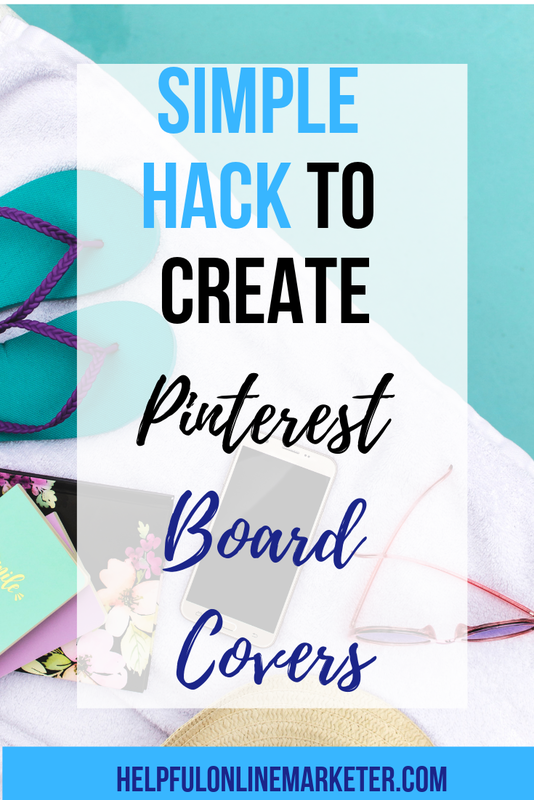 Make sure to save, and download your board cover. I always save mine as PNG because the image quality is better. If you save it as JPEG it will come out blurry. Now that you have saved and downloaded head to Pinterest. Once you are at the Pinterest home page click the red plus symbol in the top right corner. Then click create pin. 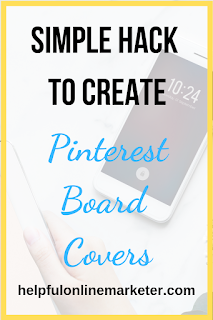 Then upload the Pinterest board cover you created. Fill out all the information that you normally would for any pin. The title is going to be the name of your Pinterest board cover. Where it says URL add any URL you want. I use my blog URL. For the description, you can describe your board or the URL you added. Once you have filled out all the info and selected the Pinterest board this cover is for click save. Now it should appear in the board you selected as a pin. Next, go to the Pinterest board you saved it to. Click the pencil/edit icon to edit the board. Then scroll down to where it says cover. Click change to change your board cover to the one you just made. Keep scrolling until you find it. Don't worry if it takes a minute to show up. Sometimes it takes at least a minute for it to appear in your board. Once you find it click save changes. Once you click save changes the end result should look similar to the one I made for my board. That's it. That's all there is to it. 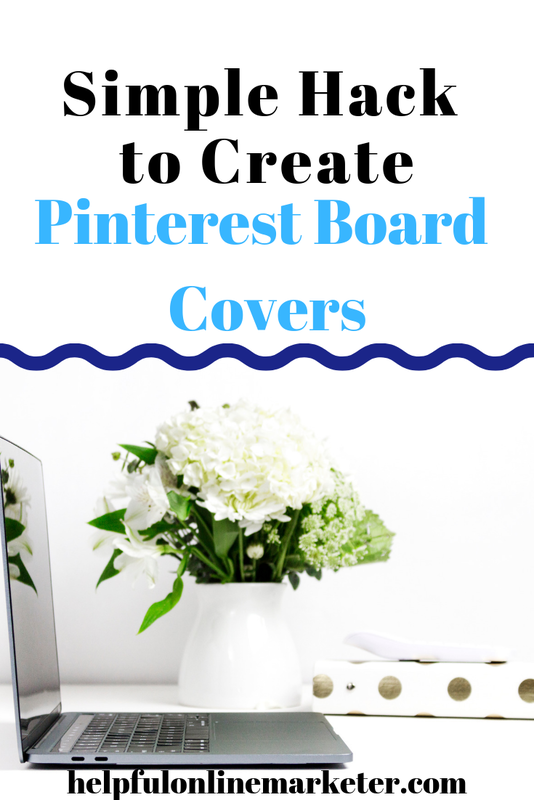 Now you should have a brand new awesome Pinterest board cover. You see how it fits perfectly within the Pinterest cover size dimensions?! Pinterest cover size dimensions are a lot smaller than a normal pin. That's why Instagram post dimensions work so well. I hope you enjoyed my blog post. If you did please pin it to Pinterest! If you would like to follow me on Pinterest click here. You can also follow me on Instagram! One of my favorite bloggers Lady Boss Studio has an awesome freebie library full of goodies for female bloggers and entrepreneurs including a list of Pinterest groups to join! Click on the link below to sign up! If you have any style tips for Pinterest board covers please share them in the comments below! Until next time take care!